Australian Vanlife community. 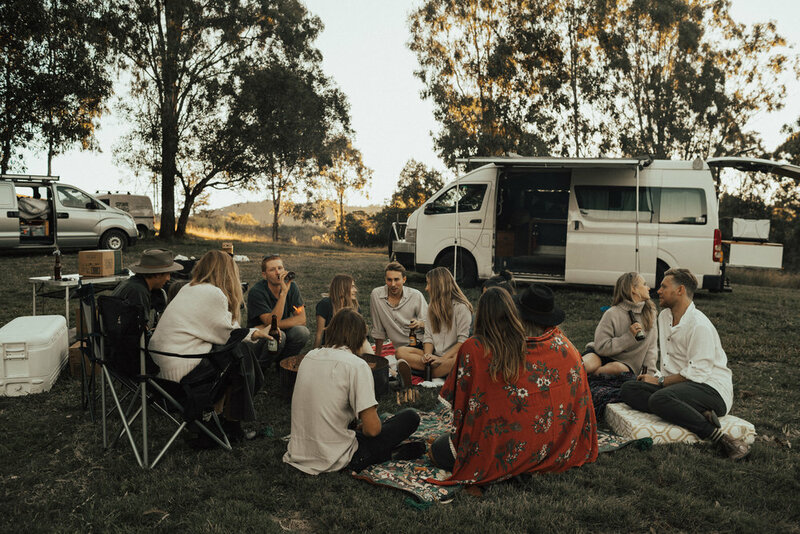 You are invited to come and share a picnic lunch on a beautiful farm between Byron Bay & Gold Coast this Sunday April 28th 12:00-2.30pm to celebrate the release of our communities ‘Vanlife Diaries finding freedom on the open road’ book. We will be giving two books away at the lunch too! Once you register, the address for the lunch will be sent to your email. Bring your own food, snack, drinks & picnic rugs. If you have a musical instrument that you want to come and jam with bring that too. See you all soon. Vanlife Diaries + The Van Project are partnering to host the second annual Teton Valley Vanlife Gathering. Ticket includes two nights camping at the beautiful Linn Canyon Ranch (1300 E 6000 S, Victor, ID 83455) in Victor, Idaho, located just 30 miles (approx 45 min) from Jackson, WY, and under 2 hours from Yellowstone National Parks’ South entrance. GET EXCITED! We’ve put together an amazing weekend gathering, nestled in the spectacular Teton Mountain Range! THIS IS A PET-FRIENDLY and FAMILY-FRIENDLY event. The only requirement is that you keep an open mind and want to meet some interesting people. WHAT WILL THE WEEKEND LOOK LIKE? Expect rig tours, live music, beer, yoga, potluck meals, and meaningful connection with other like-minded travelers in a beautiful mountain setting. We'll be adding a schedule and specifics leading up to the event. YOU DON’T NEED A VAN TO ATTEND! Bring what you’ve got: tent, bike, car, van, skoolie. As long as you’re able to boondock or off-grid camp you’re welcome! (we won’t have hook-ups and generators are not allowed). There are bathrooms and potable water on-site. This is a great chance to get some rig tours and inspiration for your upcoming adventure rig or tiny home build! 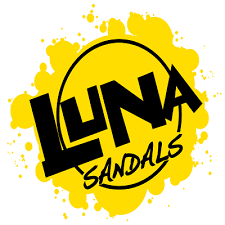 Plus, we’re working with an ultra FABULOUS NON-PROFIT. This is a LEAVE NO TRACE EVENT! Be prepared to pack out all of your trash. Location: Linn Canyon Ranch- we rented out the entire ranch, located in Victor, Idaho just 30 miles (45 min give or take-- we move slow in our rig ;-)) from Jackson and under 2 hours from Yellowstone National Park! Ticket Prices: $50 per person (children under 16 are free). 10% of ticket proceeds will benefit Leave No Trace Center for Outdoor Ethics. Cancellations & Refunds: There are no cancellations, refunds, or exchanges on any order for any reason once it has been submitted to us. If you are no longer interested in attending the event or using the tickets you originally purchased, we welcome you to list your unwanted tickets for sale on the Vanlife Diaries Social Forum. Vanlife + Tiny House, Tiny Footprint are partnering to bring you the FOURTH Colorado Vanlife™ Gathering! Ticket includes two nights camping in the beautiful Dallenbach Ranch in Basalt, Colorado. A portion of your ticket will be donated to The Trust for Public Land. There are only 300 tickets available for this gathering. Please secure your spot! THIS IS A FAMILY-FRIENDLY, PET-FRIENDLY EVENT (ALL ARE WELCOME). Vans, buses, trucks, cars, motorbikes, swags, RVs are welcome - bring what ya got! The only requirement is that you have an open mind, enjoy alternative ways of living, and want to meet some interesting people. The Dallenbach Ranch, sprawling over 140 acres of pristine Colorado Mountains, is a landmark property in the Frying Pan River Valley, and being only 20 minutes from downtown Aspen, 25 minutes from Carbondale and 3 hours from Denver. Bathrooms on site. Off-grid electric setups are welcome, but NO GENERATORS PLEASE. There is NO POTABLE WATER on site. Please bring enough water and food for the weekend. Pack it in, pack it out. Stay tuned for a schedule of events! We’re working to offer some amazing activities such as yoga, acroyoga, environmental workshops, live music and more! Rumor has it the Australian crew will be attending this one, so you don’t want to miss it! There are no cancellations, refunds, or exchanges on any order for any reason once it has been submitted to us. If you are no longer interested in attending the event or using the tickets you originally purchased, we welcome you to list your unwanted tickets for sale on the Vanlife Diaries Social Forum. Kit Whistler of Idle Theory Bus here. My partner JR and I are so excited to team up with Vanlife Diaries for a kid and dog-friendly vanlife gathering in beautiful Taos, New Mexico! We're combining our passions to create an incredible camp-out filled with community and tiny living and general all-around fun. This gathering will be a two-night campout on the property of the gorgeous Hotel Luna Mystica in Taos, New Mexico. Camping will be next door to the Taos Mesa Brewing Mothership , and tucked into a sage mesa at the base the Sangre de Cristo Mountains. Together, we’ll gather for a weekend outdoors sharing music and food, stories and tiny home tours. JR and I have been traveling the backroads of the U.S. since 2012, practicing what we call our “Idle Theory,” or time spent doing nothing. In the past 7 years, we have watched the vanlife movement spread from a small corner of the underground to a wider uprising of curious beings searching for an alternative to the insanity of the modern world. We’re excited to host this event and bring together deep thoughts and true community in the high mesas of Taos. This is an all-inclusive event and we invite everyone to attend. Vans, buses, trucks, cars, motorbikes, swags, RVs, and bikes are welcome! Bring what ya got, and be prepared for three days of fun! The only requirement is that you pack a wide-open mind, a burning passion for alternative ways of living, and a desire to meet a whole lot of interesting people. To keep the vibes high and contribute to the local land, a portion of each ticket will be donated to Conservation Lands, a nonprofit organization whose mission is to protect, restore and expand the national conservation lands through education, advocacy and partnership. Bathrooms and showers on site. Wi-Fi access available. Location DOES NOT have Electric on site. Off-grid electric setups are welcome, but NO GENERATORS PLEASE. Water available on site. We encourage you to also bring enough water and food for the weekend. Pack it in, pack it out. Join us for the 5th Annual Asheville Van Life Rally, a celebration of the vanlife community and culture, hosted in the beautiful mountains of Western North Carolina, the Southeastern USA's home to outdoor adventure, as well as great are, beer, music, food, and people. This is an opportunity to bring your vehicle and circle up with fellow vanlifers for connection, conversation, and celebration for this entire weekend of van life community-building! Be sure to secure a spot for your vehicle for this camping festival on 65 acres of beautiful land located just 20 minutes from downtown Asheville! Don't have a vehicle and still want to check it out? Score yourself a daytime spectator pass on Saturday to enjoy the party! The weekend plans include all sorts of vehicles (yes, not just vans), live music, craft beer, food trucks, vendor village, a raffle, merchandise, firepit areas, biking and walking trails, and natural areas. There will also be special programming throughout the weekend for all participants including a documentary film screening. A wide range of sponsors and vendors will showcase the innovative brands in the vanlife, overland, and adventure industries, and you'll be able to ask questions, shop, and geek out on new products. This event is a family-friendly event and kids are welcome. Vehicles are primarily limited to vans, trucks, cars, overlanding vehicles, tents/hammocks, and motorcycles. If you are wanting to bring a school bus conversion, please contact the event director. RVs and larger class A motorhomes are not allowed. To stay in the loop on updates and announcements, be sure to follow us on Instagram and Facebook @AshevilleVanLife. To sign up to receive more information about the event and to see the galleries from past events, please visit the Asheville Van Life website. Volunteer positions will be posted at a later date. The 2019 Asheville Van Life Rally is a fundraiser for Asheville Area Habitat for Humanity. Dustin & Noami of Irie to Aurora here. We’re so excited to team up with Vanlife Diaries to host the FIRST ever New Orleans Vanlife Gathering! This is a kid-friendly, pet-friendly get-together, filled with community, good vibes, and tiny living. This is a three-day, two-night campout at the beautiful Mt. Hermon Surf Club in Mt. Hermon, Louisiana. It includes some amazing activities: LIVE MUSIC, YOGA, WORKSHOPS, VAN TOURS, POTLUCK DINNER, RAFFLE, COMMUNITY-LED DISCUSSIONS. A portion of ticket sales will be donated to the Healthy Gulf - formerly Gulf Restoration Network. VANLIFE IS NOT A VEHICLE, IT’S A STATE OF MIND. So you don’t need a van to attend. Bring what you got: tent-lifin’, bike packin’, RV’n, car campin’, skoolie livin’, ALL ARE WELCOME. As long as you can camp off-grid (there will be no hookups and generators are NOT allowed). If you’re curious about vanlife, this is a great opportunity to tour some rigs and get inspired. The only requirement for this event is that you have an open mind, enjoy alternative ways of living, and want to meet some interesting people. This is a LEAVE NO TRACE EVENT. There will be no trash cans on site, so PACK-IT-IN, PACK-IT-OUT. We’ll also be playing a fun little game: cleanest campsite wins a prize! Hi! We’re Dustin & Noami. We’ve been cruisin’ the American open road for the past three years in our ‘85 Westy called Irie. Six months into life on the road, we found ourselves outside of Yellowstone National Park feeling lonely, lost, and ready to give up. Then we heard about a “van gathering” up in Bend, OR, and we figured “why not.” That’s where we found community on the road. We’re so excited to host our first van gathering and bring together like-minded individuals, forge friendships and build community in one of our favorite places in the world! We will be donating 10% of ticket sales to the Healthy Gulf - formerly Gulf Restoration Network! This incredible non-profit is committed to uniting and empowering people to protect and restore the natural resources of the Gulf Region. Their work is devoted to conserving marine life, defending wetlands, sustaining coastal communities, and protecting our waters. The Mt. Hermon Surf Club is located 75 miles (about 1.5 hours) from downtown New Orleans, and less than an hour from the north shore of Lake Pontchartrain. The property features a spring-fed creek and over 100 acres of beautiful pine forest interlaced with hiking trails. Bathrooms on site. Off-grid electric setups are welcome, but NO GENERATORS PLEASE. There is NO POTABLE WATER on site. Please bring enough water and food for the weekend. Pack it in, pack it out. $50 per person (children under 16 are free). 10% of ticket proceeds will go to the Healthy Gulf. There are only 300 tickets available for this gathering. Secure your spot now! HOLD ON TO YOUR SEATS, SCHEDULE OF EVENTS COMING SOON! We are so excited to be teaming up with Tasi Travels for our first ever Sunshine Coast Gathering Fri April 5-7, 2019, held at the amazing property of Bluff Creek Campground. About Tasi: Tasi Travels is a travel clothing brand designed by Jess Abraham for adventures, combining minimalism, practicality and style. We believe in travelling light, in being able to pack less, but better. 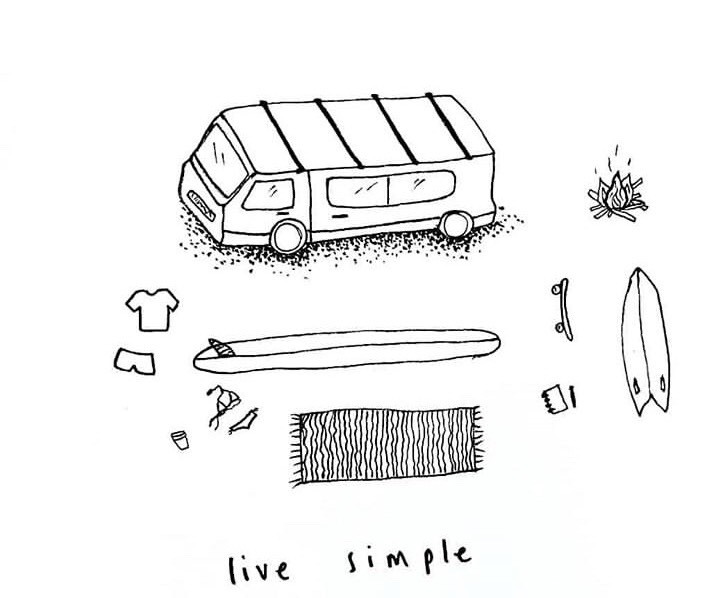 Our travel clothing was designed with minimalism in mind, so you can go away with only a handful of items that are versatile and practical enough to be all you need. We endeavor to create a community of wanderers and to inspire slow, authentic travel. We want to help you travel freely, travel easily and travel often. About Jess: Jess Abraham is the founder of ethical travel clothing brand, Tasi Travels. 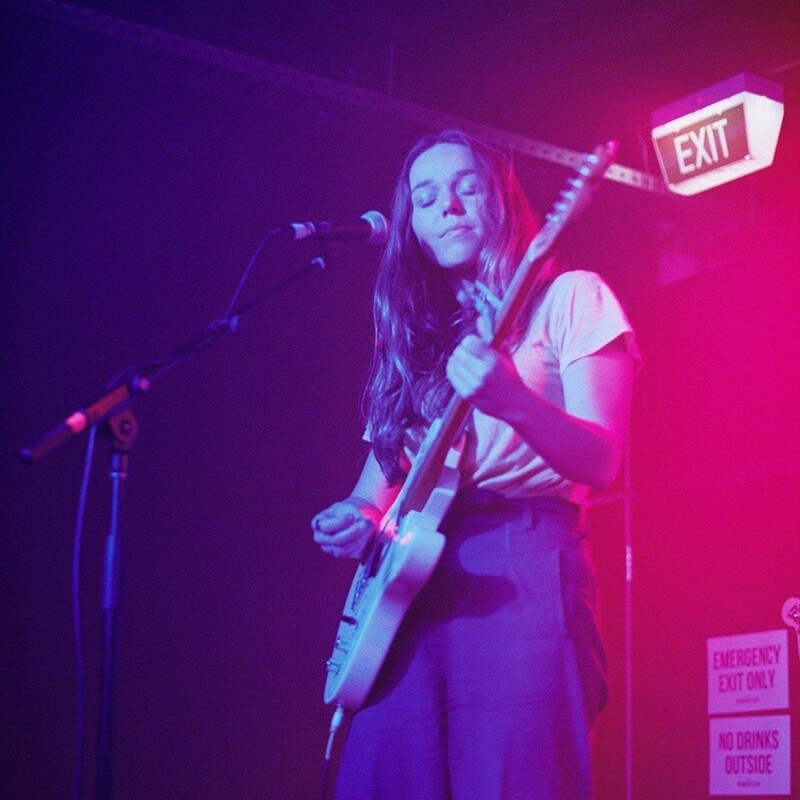 Prior to founding Tasi, Jess co-founded and ran independent publication Tidal Magazine, supporting young creatives around Australia. Jess is passionate about environmental conservation, and has particularly worked in the space of marine debris since her early teens. Jess has built her business to be able to be run from wherever she is in the world, which is often on the road in her iLoad! About Bluff Creek Campground: Bluff Creek is a beautiful family owned and run campground set in the beautiful surrounds of Kenilworth. Space, tranquility and privacy are core values that they endeavour to foster. The surrounding villages, markets, artisans and producers make for endless opportunities while the setting is as far away from the hustle and bustle. Set on 100 acres, campsites are idyllically located on a bend of a beautiful clear creek with abundant swimming holes and fish. There are limited tickets available for this gathering. Please secure your spot soon! 10% of each ticket is shared amongst our not profit partners One Wave (Mental Health Awareness) & Take 3 (Environmental awareness & education). $60 per Adult, $20 per child, (Under 5 Years old free) includes two nights camping & all the fun that goes down. Including live music, art, workshops, speakers, beach clean & ‘free the funk’ fluro surf. Vanlife Sessions (Live Art & Music event) for a cause are excited to be collaborating with Tom Robb from Life Is The Way, Hire A Kombi Damien Cole & Ocean Mind to bring the Surf Coast & Bellarine Coast of Victoria a special & unique family friendly (Kids under 16 free are Free) community event on a beautiful private property. Live music by Jack The Fox, Alana Wilkinson, Jack Botts, Ella Sweeney, Dusty Boots Mckinley Payne & Tom Robb, also live art by Tilly @tilbatilba Instagram & Sophie @sophieillustrates_ Instgram. If you are an artist (painter, muralist) that would like to contribute with some live art please let us know. We are so stoked to collaborate with A Cleaner Coast to do a beach clean at Ocean Grove & Barwon Heads at 1.30 before the live music & art! CLICK HERE to register for the beach clean and you will be sent exact details. 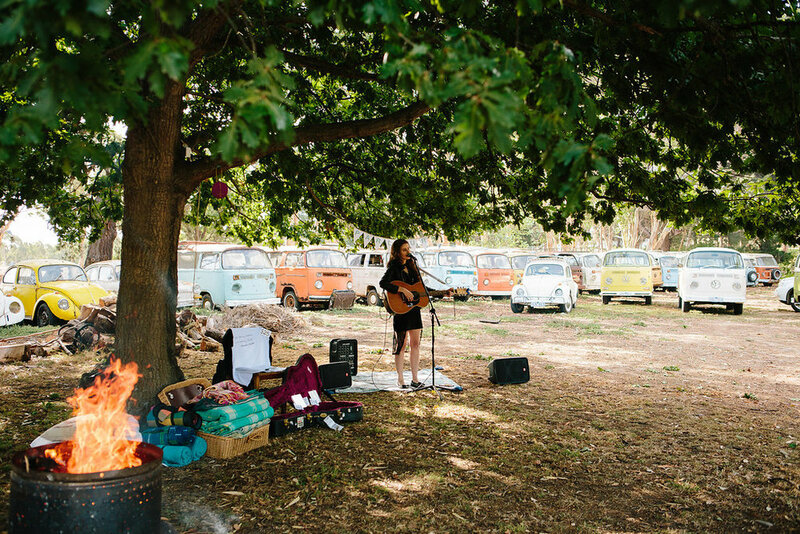 This event is supporting artists and sharing creativity and raising awareness and funds for a good cause with a family friendly environment at Hire A Kombi’s property, Surf Coast, Ocean Grove, Victoria Australia. Tickets are $15 & can be purchased online below. $5 from each ticket goes to our not for profit we are raising money for which is Ocean Mind for this event. Ocean Mind provides therapeutic surf programs harnessing surfing as a tool to address youth issues such as mental illness, social isolation and disability. “Ocean Mind’s alternative surf therapy is community-based and recovery oriented and acts to complement clinical and acute care. The support involves young people aged 8-18 participating in six-week programs delivered by professional youth workers, surf instructors and a 1:1 matched local mentor, building their confidence, skills and connection to the community.” Parking is across the street from the Hire A Kombi property. See you soon! Address for Hire a Kombi property: Click here 1830 Bellarine Highway Marcus Hill. BYO rugs, drinks and snacks. Please note: Tickets are non-refundable due to any circumstances including weather or event cancellation. As money is going to a not for profit and artists are booked to play. We aren’t in control of the weather and hope it will be beautiful on the day. Vanlife Sessions (Live Art & Music event) are excited to be collaborated with Grant Molony art studio & Lucky Surf Supply. Live music by Joel Leggett, Jye Sharp, Dogfight (Kelton Hirst, Cale Labbe & Banjo Crossley), Mckinley Payne, Dusty Boots, Krysten Dafter Ashrae Miniq Music & Sean Dunlop. Live art by Grant Moloney & guest artist Nyree Kiely, Ella Sandeman & Ange Elder. 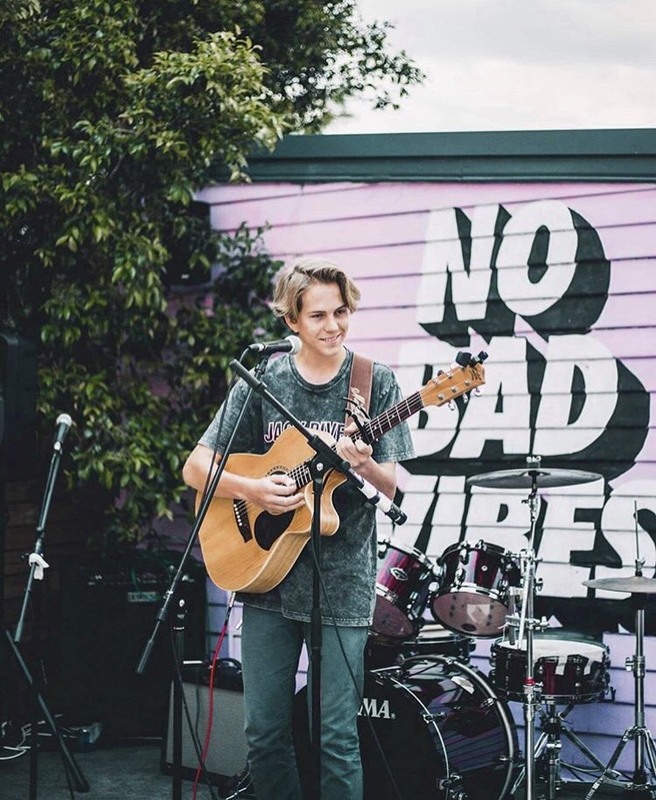 This is a beautiful community event supporting artists and sharing creativity with a family friendly event at Long Jetty on the Central Coast, Australia. Also supported by Donnie Eats & Stone & Wood. Tickets are $15 & can be purchased online below. $5 from each ticket goes to our not for profit we are raising money for Central Coast Kids in need. Park out the back and entry by the back roller door. Address Lucky Surf & Supply 3/417 The Entrance Road, Long Jetty NSW 2261. Non-profit partners (Giving back): 10% of each Vanlife Gathering ticket purchased for this event gets split between our non-profit partners; One Wave (Mental Health), Take 3 (Environmental) & Yarn (Cultural awareness) There will be a One Wave ‘Free the Funk’ surf raising awareness for mental health, a Take 3 Beach clean up and a Yarn experience around the bonfire as a part of the many fun and enriching activities on this weekend. Camping facilities: This ticket is for an unpowered site (you can pay a little extra cash $5 per night on entry at the camp office for a powered site on arrival if needed) toilets, hot showers (free) are available & the campground is a few minutes walk to the beautiful beach. No dogs are allowed at this campground. Waves has an awesome ‘Surf Fuel Cafe’ serving barista coffee, healthy & high energy breakfast & lunches and amazing street food too run by Fronds Food Co.
Make new friends and say hello to old ones. There will be an array of other collaborations and activities including sharing stories by the fire, learning about the regions history and acknowledging the traditional owners of the land, live music and art will be shared and there is fishing, surfing, hiking, swimming opportunities all around the area too! If you have something you would like to contribute be sure to get involved and reach out and let us know (via our email vanlifediariesaustralia@gmail.com) This is an environment those who encounter, never forget. 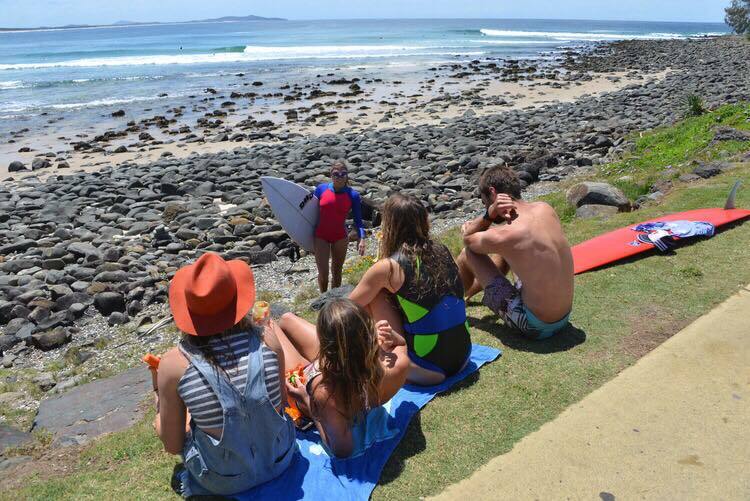 Meet the community and start planning your Crescent Head region road trip! Potential Brand partners, sponsors & stalls: If you or your brand would like to support, sponsor and partner with this event please email vanlifediariesaustralia@gmail.com. We only partner with like minded brands that understand, appreciate what we do and are directly aligned with our wonderful community. PLEASE NOTE: Ticket purchases are going through our partner website Rebel On A Rainbow so purchases can be in Australian currency as our Vanlife website event tickets are currently in American currency. Thanks for your understanding. CLICK BELOW TO BOOK YOUR TICKET. See you all very soon! Slide show to click through to see of what some of the fun and enriching things that go down at our Australian Vanlife Gatherings. See you all very soon! Festival tickets ARE LIVE for this entire weekend of van life community building and celebration! Stay tuned for more information, but be sure to secure a spot for your vehicle for this camping festival! Details include a full lineup of music, a kids van life area, beer, food trucks, vendor village, a raffle, van life swag, and special programming throughout the weekend for all participants. Camping options include both Friday and Saturday night, and there will be plenty of space for camping, spectating, hanging out around the fire, enjoying live music, conversation, local craft beer, and community building. If you would like to sponsor the 2018 Asheville Van Life Rally, or become a vendor, please contact event producer, Micah Pulleyn, at ashevillevanlife@gmail.com. In the meantime, be sure to follow Asheville Van Life on both Facebook and Instagram! Ticket includes two nights camping on this property at Hotel Luna Mystica in Taos, New Mexico. Located right next to the Taos Mesa Brewing Mothership and tucked near the Sangre de Cristo Mountains, you'll experience a weekend with like-minded people outdoors sharing music, food, stories and touring tiny homes. A portion of your ticket will be donated to Rivers & Birds Inc. a nonprofit organization which provides experiential education adventures that celebrate the interconnection of all life and inspire individuals as leaders for Earth stewardship and peace. $35 per vehicle including driver & $10 per additional passenger over 16. Please contact us if your vehicle will have more than 3 people over 16. Bathrooms and showers on site. Location DOES NOT have electric on site. Off-grid electric setups are welcome, but NO GENERATORS PLEASE. You are welcome to fill up your water bottles or grab food at the brewery if you'd like. Please bring enough water and food for the weekend. Pack it in, pack it out. Vanlife Diaries + Tiny House, Tiny Footprint + Rock Meets Soil are partnering to bring you the third Colorado Vanlife Gathering! Ticket includes two nights camping in the beautiful Dallenbach Ranch in Basalt, Colorado. A portion of your ticket will be donated to The Trust for Public Land. $50 per vehicle including driver & $10 per additional passenger over 16. The legendary Dallenbach ranch, sprawling over 140 acres of pristine Colorado Mountains, is a landmark property in the Frying Pan River Valley, and being only 20 minutes from downtown Aspen, 25 minutes from Carbondale and 3 hours from Denver. Love free beer? Want to help protect our public lands? 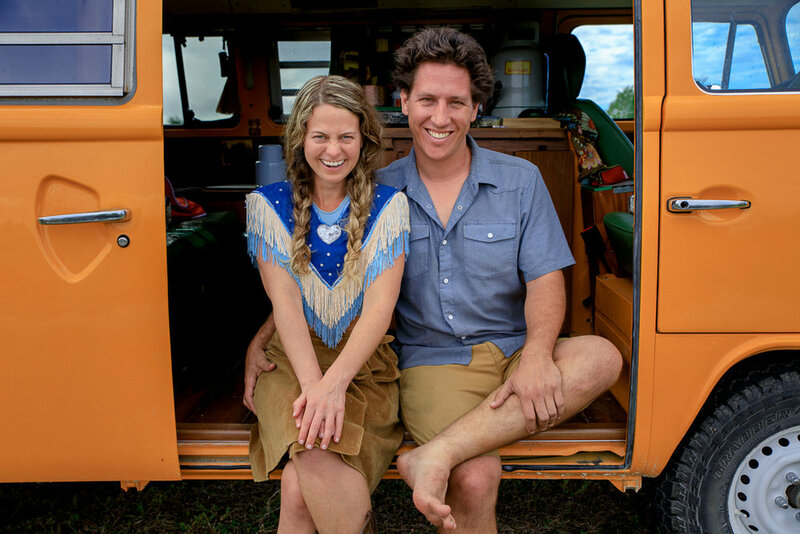 Vanlife + Tiny House, Tiny Footprint are hosting an OR After Party from 6-9 pm at Ratio Beerworks. Come catch an inside look at some of the amazing vans that transport and house people living on the road. We’ll also share resources on how you can better protect the places we all visit as travelers. The first 200 attendees will receive their first beer free from our participating sponsors. The event will also feature music from DJ Tiffiny Epiphany. Please stay tuned as we share a list of vanlifers and as well as more details including free gear giveaways from our sponsors. That said, even though this event is free, we do encourage you to donate money to support our public lands. Vanlife Diaries + The Van Project are partnering to host the first annual Teton Valley Vanlife Gathering. Ticket includes two nights camping at the beautiful Linn Canyon Ranch (1300 E 6000 S, Victor, ID 83455) in Teton Valley, Idaho, located just 30 miles (approx 45 min) from Jackson, WY, and under 2 hours from Yellowstone National Parks’ South entrance. We’re SO PSYCHED at how this is event is coming together: LIVE MUSIC, VAN TOURS, sunrise photography, FREE morning yoga thanks to Shine Organics, and we’ve just announced a FREE LOCALLY SOURCED VEGETARIAN BBQ DINNER THANKS TO Kettle Brand and FREE BEER at the dinner thanks to Melvin Brewing!! Plus TONS OF OTHER FREEBIES (more below!). You DON’T NEED A VAN TO ATTEND! Bring what you’ve got: tent, bike, car, van, skoolie (we’ve got a few signed up already!). As long as you’re able to boondock or off-grid camp you’re welcome! (we won’t have hook-ups and generators are not allowed). We will have access to potties though (always top of mind for us vanlifers!). This is a great chance to get some rig tours and inspiration for your upcoming adventure rig or tiny home build! THIS IS A PET-FRIENDLY and FAMILY-FRIENDLY event. The only requirement is that you have an open mind, enjoy alternative ways of living, and want to meet some interesting people. Plus, we’re working with some ultra FABULOUS NON-PROFITS. ---We’re DONATING A PERCENTAGE OF TICKET SALES to the Jackson Hole Conservation Alliance for their Wildlife Crossing Initiative. They’ll be joining us to share more about their efforts in the Teton-area. ---This will be a LEAVE NO TRACE EVENT! LNT reps will be at the event all weekend to share tips, tricks, and run a fun little contest to see who has the most zero-trace campsite! MASSIVE RAFFLE, including $650 WeBoost cell booster, 3 fly rod setups from WETFLY, Luci Lanterns, gear from Stanley, Leatherman, and Buck Knives, Be Kind Vibes shirts, a Low Tide Long Board deck (a company founded by fellow vandwellers), Cotopaxi, Scott James Sport Jewelry and more! Since we didn’t write FREE enough above: The FIRST 100 folks to register will get a FREE buff (thanks to WETFLY) or a FREE pocketknife (thanks to Buck knives). Basically we’ve got a crazy amount of value and fun packed into this weekend (read: these tickets are A STEAL). 6PM: WeBoost Happy Hour: we’ll have an RVConnect 65 setup (we’ll also be raffling one off on Saturday!). Come get your last minute work finished, share some stories on social media and test the cell booster out! Oh yeah, bring a beverage! 7PM: Potluck dinner - make/bring something delicious to share with your fellow travellers! 8PM: LIVE acoustic set (by B.R. Lively https://brlively.com/) and campfire hang! 6AM: Sunrise photography: join Matt from the Van Project to capture the beauty surrounding the venue during one of the best times of day! 4PM: A BADASS GEAR RAFFLE! Vanlife Diaries + Gnomad Home are partnering to bring you the first Midwest Vanlife Gathering! Ticket includes two nights camping in the beautiful Mark Twain National Forest in Missouri. A portion of your ticket will be donated to a local nonprofit in the Midwest. 13 acres of open field in the middle of the forest, a stone's throw from a river and a lake. We can't wait to see you out there! CANCELLATION POLICY: There are no cancellations, refunds, or exchanges on any order for any reason once it has been submitted to us. If you are no longer interested in attending the event or using the tickets you originally purchased, we welcome you to list your unwanted tickets for sale on the Vanlife Diaries Social Forum. Due to a property cancellation with Crescent Head we have had to relocate the gathering to beautiful Byron Bay on the Red Devil Park Campground. The same camping fees apply. ADDRESSS: Cnr Broken Head Rd & Bangalow Rd Byron Bay, NSW 2481 Vanlife Diaries Gathering for 2017 Fri Dec 15 - Sun 17th lunchtime to lunchtime. We have teamed up with Byron Bay Event Co. who have kindly helped us out with the relocation and changes. Camping tickets must be purchased online before the weekend. Roll up and be a part of this gathering which will be the last opportunity for Aussie Vanlifers to meet up and share stories from the road and hear more about the filming of 'The Meaning of Vanlife' Documentary! ANY QUESTIONS PLEASE PHONE JONNY on 0423348445. Camping facilities: toilets, showers, dog friendly (on a leash) & a few minutes drive to the beautiful beaches of Byron Bay. We are so stoked to have Stone & Wood Brewing supporting our documentary and this gathering. We love how much they give back to local community around Byron Bay & The Northern Rivers. They support so many amazing community projects in helping them remain sustainable. Bring your van, tent, swag, friends, family, instruments, adventure toys! There will be sharing of stories, Surfing, Live Music, Yoga, Live Art, Beach Clean, Dancing & uplifting each other in the beautiful surroundings of Byron Bay, NSW, Australia. Central Coast, Australia! We are bringing Vanlife Sessions your way! 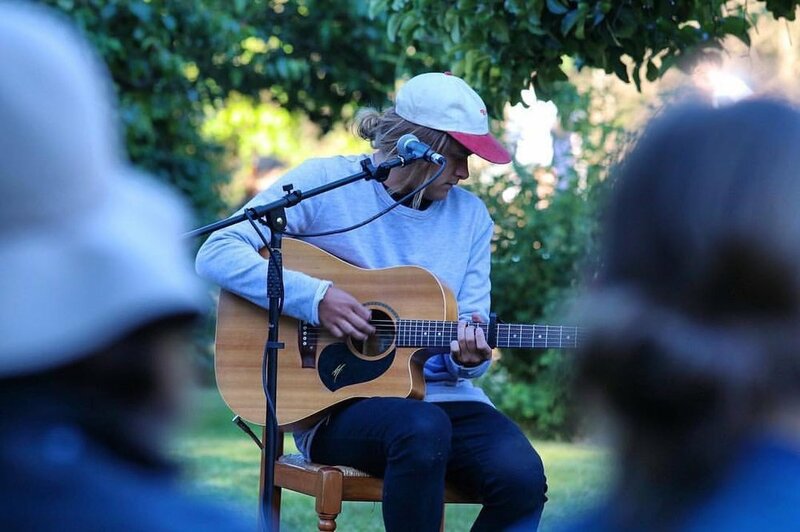 Come & park up to listen to some epic live music by Nelipot/Karrie Hayward & more, check out some live art by Grant Molony & watch a surf film by Adelio Wetsuits! Good times. Tickets $10 each. Drinks & finger food available too. Vanlife has teamed up with Lucky Surf & Supply art space to have these good times Sun Nov 5 from 6-10pm. Doors open at 5.30Pm! See you soon for good vibes & chill times. Input the given coordinates into your Maps app and that will bring you directly to us. We will all meet at the mouth of the campsite road. Look for a Blue & White Ford Econoline. Anybody want to come vanning with us this weekend? We're heading up the Boulder Canyon to camp near Nederland. This being the first Meetup we have limited the meet to 10 people but we actually mean 10 vans. You're welcome to bring whoever you want with you. More vans are also welcome but we're limiting our campsite to 10 vans. If you can find another spot then you can always walk over to our site. We would love to see ya! This years gathering will look a bit different in the best of ways. As always, thank you for your patience and for partnering with us to make this happen year in and year out! This is your event. It wouldn't be the same without you. 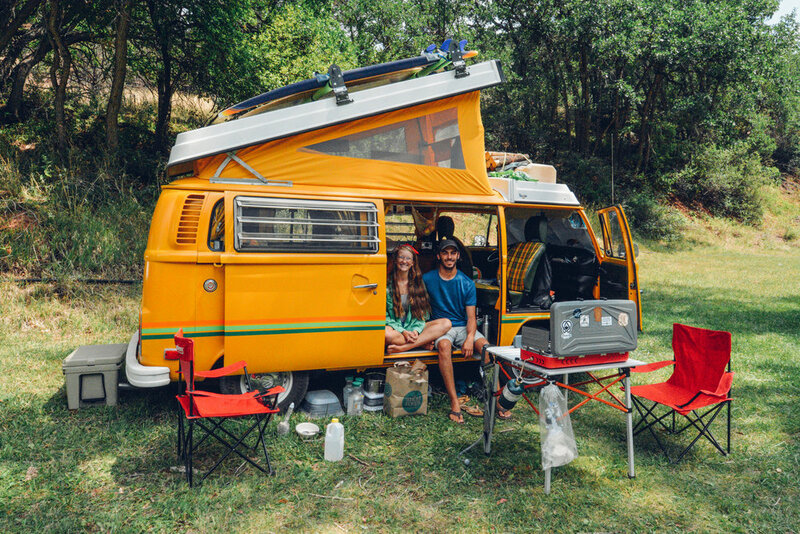 Join vanlife nomads @TinyHouseTinyFootprint from @VanlifeDiaries, @KyleKesterson, and others from the community to geek out on all things vanlife. More details on the afternoon coming soon, including a few surprises and a chance to win an off-road adventure for you and 3 friends. If you want your to show your van during the van tour, email VanlifeDiariesAmerica@gmail.com by 9/20! Pour une 2e année, Go-Van vous invite à célébrer la #vanlife une dernière fois avant de storer les véhicules! Avec un nouveau lieu unique qui offre encore plus d'activités afin de ramener toujours plus de souvenirs. Tous les détails suivront sous peu, on se voit au pied de la montagne en septembre, d'ici là profitez bien de vos "freedom vessel"! This year again, Go-Van welcomes you for a #vanlife celebration a few weeks before we store our freedom vessels. A new venue even more unique with more activities to do to create even more memories! More details will follow soon, until then drive safe and we can't wait to hear all your best stories around the bonfire! Come hang out around the campfire and get to know others in the Portland Vanagon Community. There will be a potluck dinner, yard games, and activities for the kids. Campout for the night or just come hangout for a couple hours! We will be swapping stories of camping and roadside break downs as well as sharing tips and tricks of vanlife. Registration will be launched soon! There will be a $10 per Van registration fee to cover the cost of porta potties for the event. We also ask that if you are camping to please bring some fire wood for the community campfire. Join Live Outside and Play, Elevation Outdoors Magazine, Goat Patch Brewing Company and UpaDowna for a celebration of vanliving! We're rallying some of the local van-lifers to give tours of their van and have a fun night of raffles, adventure convos, and the best beer in town. Johnny G's Delicioso Mexican Soul Food Truck will be there for din din while you take a look at all the adventuremobiles! Come on down, ask some questions, win some raffle prizes, and grab a pint. Are you interested in Van Life? Join Elevation Outdoors Magazine and Live Outside and Play at Upslope Brewing Company for a Thursday night of all things adventure vehicles! We're rallying some of the local van-lifers to give tours of their van and have a fun night of raffles, adventure convos and the best beer in town. Do you own a van or adventure rig? We're still looking for a few more folks to display their vans. Email roadteam@elevationoutdoors.com to confirm your spot! Tiny House Living Festival is a traveling three day expo that brings education, advocacy, and application for small space living to dozens of cities across the US and Canada. We feature tiny houses on wheels, school bus conversions, park models, new and vintage RVs, vans, yurts, sailboats, teepees, tree houses and more! Our small space exhibits vary depending on the location of the festival and the local movement’s style and spirit. We also proudly offer expert speaker content, hands on workshops, product and service marketplaces, a craft fair, food, drink, entertainment, and a chance to meet new like-minded people! Our passionate team is committed to providing a unique experience in each city we visit; while remaining consistent to our mission: celebrating the benefits of doing more with less! We're so stoked to announce our next Colorado vanlife gathering! Vanlife Diaries is partnering with Tiny House, Tiny Footprint to bring you another amazing event. We hosted a Colorado gathering last year (read our recap) and we expect this one to be even bigger and better! We'll have yoga in the mornings. A massive giveaway to all of you from outdoor brands that support vanlife. Group meals around the campfire. And lots of great long-lasting friendships. Get ready for our FIRST Canadian gathering! It's going to be amazing! We're currently looking for artists, yogis, musicians, photographers and other creative folks who would be willing to share their talents. We are also looking for rad sponsors to be a part of our massive giveaway! Please contact Raphaelle of Boreal Folk if you'd like to be a sponsor or host an activity during the event. Let's welcome summer and celebrate the opening of the roadtrip season together. Go-Van is launching a new gathering for vans of 21 feet and under ... in British Columbia! 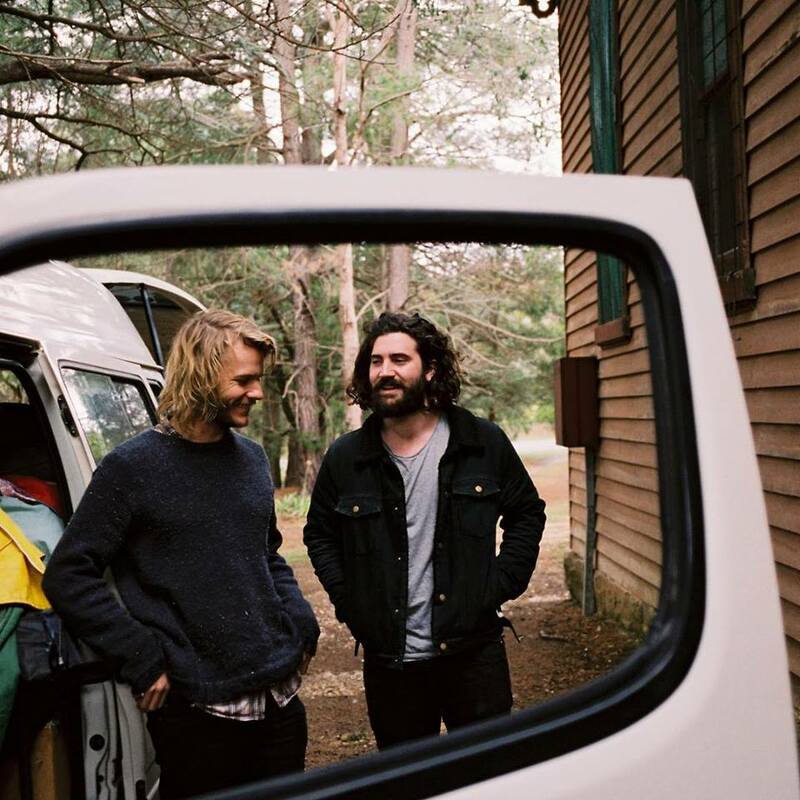 Our friends from @vanlifediaries are coming from Australia to share the stoke and play some tunes around the bonfire. Let's show them a warm canadian welcome. All captains are invited to come and tell their latest road trips around a fire in the charming Harrison Springs RV Park in Harrison Mills. This beautiful place is located on the waterfront for paddleboarders, kayakers or canoeers while offering access to nature for sunday's hikers. > Live music by Dusty Boots and more. Afin d'accueillir l'été en grand et pour célébrer le début de la saison des roadtrips, Go-Van organise un nouveau rassemblement pour tous les types de vans de 21 pieds et moins... en Colombie-Britannique! Nos amis de Vanlife Diaries viennent nous visiter de l'autre bout du monde alors réservons-leur un accueil chaleureux! Tous les capitaines sont conviés à venir raconter leurs plus récents road trips autour d'un feu dans le charmant RV Park d'Harrison Springs situé à Harrison Mills. Ce magnifique endroit est situé sur le bord de l'eau pour les adeptes de paddleboard, de kayak ou de canot tout en proposant un accès à la nature pour les randonneurs du dimanche! > Concours et autres annonces à venir! Experience Colorado and Utah like a local this summer. For two weeks, we will be guiding you on the ultimate vanlife caravan tour. Summer is the best time to soak in the sun and see the wildflowers, wildlife and starry nights. Want to extend your trip? Give us a heads up. We can work with you to maximize your trip experience. Travel more than 1,500 miles passing through and by national parks, monuments, hot springs and waterfalls. This price includes a two-week campervan rental (seats 4), adventure itinerary, welcome party, group activities, van gathering, contests & giveaways and reserved camping spots. Who: Six campervans filled with adventurers, outdoor lovers and creative minds looking for the vanlife experience. Caravan with other vanlifers or take the solo route. Either way, we want to help you be a part of the vanlife community. Why: The vanlife movement is growing and we want you to be a part of it! Break away from the grind to explore nature with folks who share the same mindset and enthusiasm. Count me in! Now what? Reserve your spot by filling out some information about yourself and what you want to get out of this tour. We will select six applications to be a part of this summer adventure. If selected, we will contact you right away so you can get your travel plans ready. Our Dodge Grand Caravans are built for adventure and come with unlimited miles. Our rigs seat 4 and 2 can sleep inside (dogs are welcome as well). But if you bring three others with you, we do have a roof-top tent you can rent for additional room. Our vans are equipped with a full kitchen with utensils, cooler, pull-out double bed and lots of storage. Discover what's included in your future tiny home on wheels. Collision damage and supplemental liability insurance coverage & mileage included. Experience Colorado & Utah off-the-beaten path. Offering a guidebook to the best hot springs, hiking trails, campsites, restaurants, bars and wilderness areas. Escape the crowds and travel with local knowledge of the region. We realize many of you will be coming from places outside Colorado and will be flying to this great state. Not to worry! We will pick you up and bring you to our Welcome Party and drop you off when your adventure is complete. Meet your van and travel companions. Get acclimated to the altitude. Get to know members of the vanlife community. Come together over beers, local food and music. Destination adventures around rafting, hiking, biking, fishing, hot springs, photography and more. Endless opportunities for you to experience the outdoors with fellow vanlifers. We will be hosting a small gathering around vans, music and food halfway through the trip. We'll provide the food and tunes. Come prepared to get inspired and have fun! Play road challenges to win fun prizes and giveaways. Compete in contests around photography capturing vanlife meals, scenic views and wildlife. Picturesque camping locations for every night of your adventure. Tell stories around the campfire about life on the road. A photographer/videographer will be following the tour and capturing some of the best moments along the way. At the end of your trip, you will receive a photo book featuring you and your companions.